If you’ve ever tried to get a group of people to change, you’ve felt this exasperation. This can be particular hard when you’re trying to get team buy in to change a habit, start a new one, or improve a process that everyone knows is broken. To solve this, maybe you’ve already tried delegating to someone on your team, or had a lot of conversations and meetings about it. Despite all the talking and thinking about it, nothing seems to be getting done. Before you get frustrated and start blaming your team, take a moment and pause. Breathe. When you’re in the weeds, stressed, and juggling a million things, it’s easy to get annoyed by things that “just aren’t changing.” You can talk to your team about things until you’re blue in the face, and sometimes nothing happens. Blame: No one wants to take it on, because if it doesn’t work, they take the L.
Authority: You may want to assign the problem to someone (or a team) to solve, but are they empowered to actually make the necessary changes? Agreement: Does your team agree it’s an important problem? Do they see why it’s a big problem now and will only get worse? Pressure: If your team has other major projects and tasks to complete, your “pet project” may be put off indefinitely. Priority: You may say it’s important, but do your actions show it’s the case? When you’re faced with an important change that’s not happening, it’s time for you to step up. While all the talk, instructions, and requests in the world may feel like leadership, often times, it’s making a grand gesture yourself that provides the momentum your team really needs. Today, we look at why that is, and how you can do it with your team. 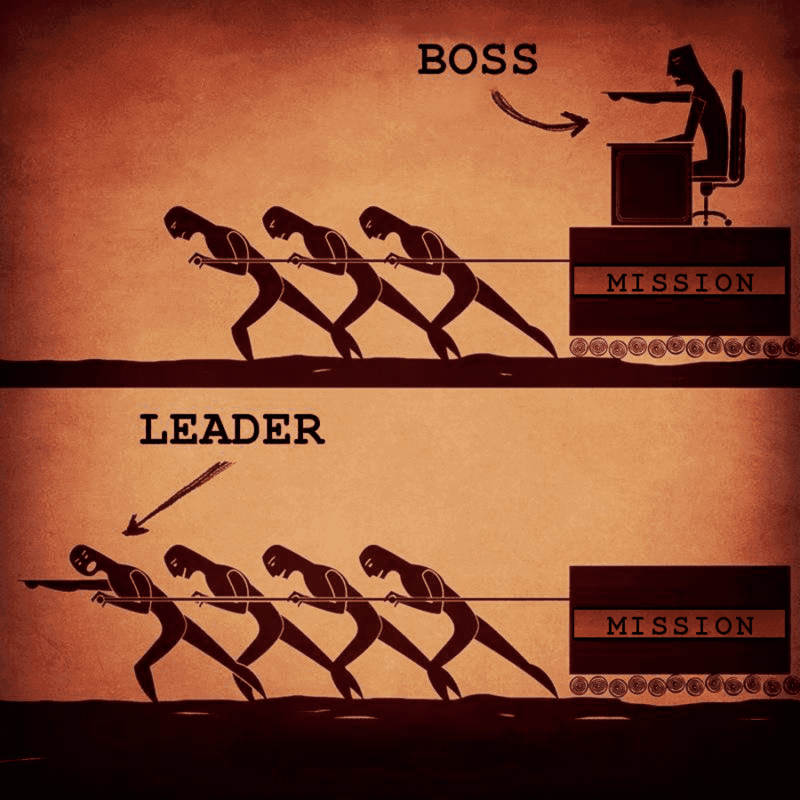 The boss vs. leader image above is one of my favorites. It captures in such a simple way what leadership is often about. You have to be willing to roll up your sleeves and be a part of the solution just as much as you need to think about the big picture and strategy. This is one of many reasons why founders have so much credibility in their businesses. Everyone knows this person has been there since the very beginning when things were hard, uncertain, and challenging. However, you don’t have to have all the credibility in the world to start leading your team through change. Whether you have been there from the start or not, when you find you’re stuck trying to get team buy in on something, the below tactics will help you get better results. One of the biggest reasons your team may resist a change you ask for is fear: of the unknown, of the consequences of failure, or of looking dumb. If people do not feel confident in the path forward, or that they have the authority to complete the changes you want to see, then your leadership is critical. When they see you fearlessly taking on the change, it’s easier for them to be confident following. Otherwise, it can look like you’re delegating to protect yourself and setting someone else to take the fall. Martin Luther King literally walked at the front of many marches for equality. Gandhi not only lead the march to the sea to protest British salt taxes and restrictions, he literally went to the sea to pick up natural salt in protest. Great generals through the ages have led from the front like Julius Caesar, Hannibal, Ramses II, and Alexander the Great. When you step up and show your people a plan that you’re involved in enacting, they’re much more likely to buy in and believe in you, (especially when the stakes are not as high as wars or national protests). 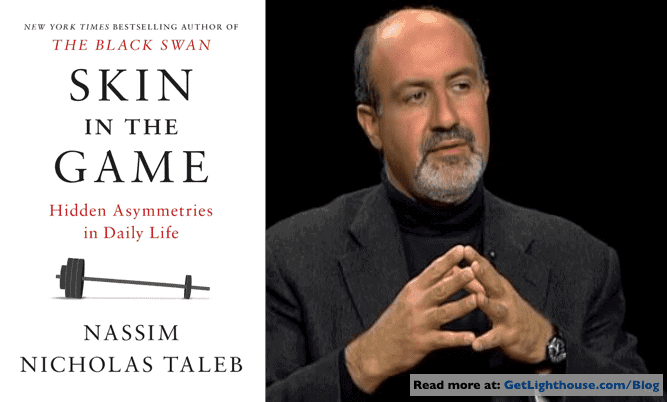 In Nassim Taleb’s book, Skin in the Game, he explains how true credibility comes from having a share of the upside and downside of a decision or piece of advice you give. Only in feeling the consequences of your ideas and suggested actions for others are you likely to be correct. Throughout the book he shares example after example of people who make statements, claims, or proposals that fail because they do not fundamentally understand the system they’re trying to change or predict. Taleb’s favorite group to critique is the academic economists who don’t understand how the world works outside of their safe, simulated university environments. They’re an extreme case of an idea that affects us all. By getting directly involved to show your team the way, you will have skin in the game. Once you do, the success or failure of the initiative is on you as much as those you delegate the tasks to. You’ll also be close enough to the action to see what’s really happening. You can then help make adjustments when you discover hidden problems and challenges you didn’t plan for. 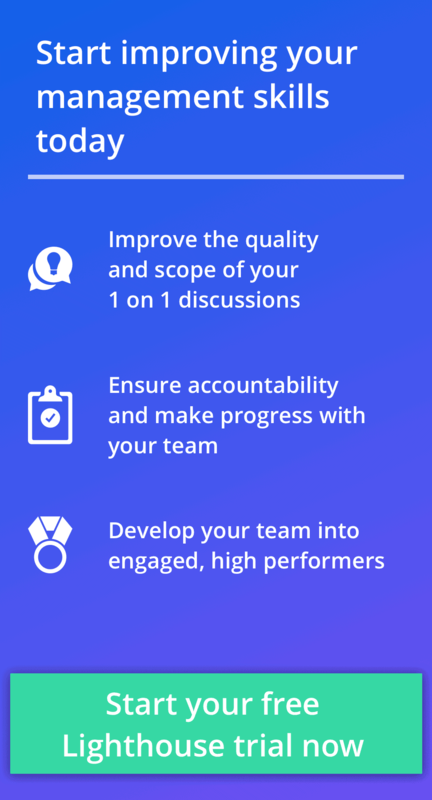 If your team isn’t communicating well with you and giving you the feedback you need, try these approaches. Work on your Self Awareness to better recognize when your team wants you to roll up your sleeves and lead the way. A leader should never ask their team to do something they wouldn’t do themselves. Depending on how much trust and respect you have built up, you may be tested by your team. If they don’t believe in you, they are unlikely to listen to you. You won’t get the team buy in you want, nor the results you’re aiming for. A great example of this is from Season 5 of HBO’s Silicon Valley. When Richard, the CEO, is walked out on after giving a speech to his company that is largely from unhappy acquisitions, he makes a great effort of his own. As you’ll see in the video above (warning: some strong language), by rolling up his sleeves and doing the work he was asking of others, he earned their respect and buy in. The example you set dictates not only what standards your team will live up to, but also the level of effort they’ll put in. 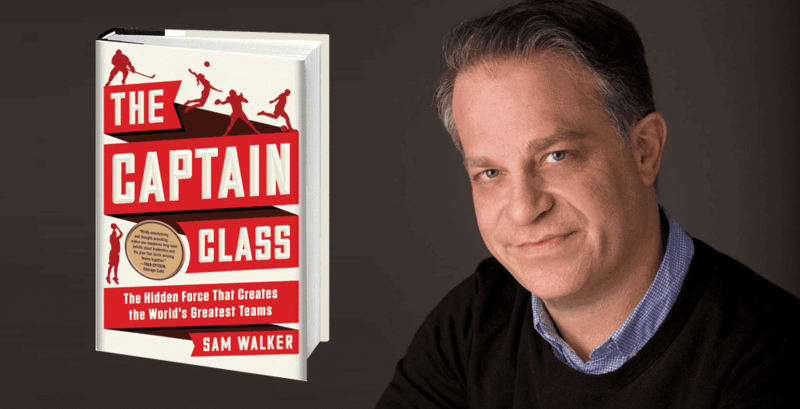 In Sam Walker’s book, The Captain Class, he studies the greatest sports dynasty around the world. These are teams that sustained greatness often for over a decade across a variety of sports including rugby, football, and basketball. As Walker looked for patterns in what set these dynasties apart, he noticed an essential pattern: a leader who set an incredible standard and made grand gestures. Lambert set the tone by being the toughest guy on the field and not letting anything stop him. He played with no front teeth, wasn’t afraid to call out even the best players on the team, and was the team’s enforcer when needed. Lambert wouldn’t even let team staff clean blood stains off his jersey in games, so that everyone knew he bled for the game. Luckily the workplace isn’t quite so brutal, but the the lesson is the same: a heroic effort gets noticed and respected. This is why the saying goes, leaders eat last. It’s why good leaders are usually the last to leave at the end of the day, and great CEOs will even “take out the trash”. What if you can’t do what you’re asking them to do? What can you do to help them? Even being present and buying dinner can make a big difference. How can you make their lives easier? Maybe you can’t write the code, or make the sales calls, but you can roll up your sleeves and make sure they have everything they need without interruptions, distractions, or tedium. How can you show your work? If you’re making major efforts in other areas, find subtle (and not so subtle) ways so they see you’re doing your part like giving updates on progress and explaining what you’re doing so they appreciate the difficulty of your work, too. As is the case in many of the things we explain on the Lighthouse blog, the most important thing is being genuine. If you show you genuinely care, people will notice. Meanwhile, if you try to draw attention, and want a gold medal for doing a few dishes, they’ll also notice…for the wrong reasons…and resent you. The culture of your team is set by your example as we explain here. If you want to change the culture of your team, it starts with you. Learn how Theo Epstein turned the Chicago Cubs into winners by changing the culture. One of the biggest mistakes inexperienced and poor leaders make is saying things once and thinking it’s enough. Whether they do not understand the value of repetition, or goes so far as resenting they have to repeat themselves, they are set up for failure. The only way for ideas to sink in with your team is to regularly repeat yourself and your ideas. Now, this doesn’t mean you stand over someone with a megaphone and say the exact same phrase over an over again. That’s a childish straw man. Instead, repetition is about looking for opportunities to repeat yourself in a variety of ways. Talk about it, then send a clarifying email to your team member. Make it an agenda item everyone sees, then discuss it in detail in a meeting. Highlight the importance of something you want to see happen again by specifically praising it. While at first it may feel a little awkward repeating yourself, as you start to see the impact it will make it easier to develop the habit of repetition going forward. How often do you bring up new ideas? They’re likely learning to tune out some of them so they get anything done. Was it part of your quarterly planning? If you laid out 3 big goals for the quarter and this isn’t clearly part of that, they are unlikely to act on it immediately. Where did you tell them about this? A quick comment in the hallway does not carry the same weight as a meeting, an team-wide OKR, or a message straight from the CEO. The more you repeat yourself about the importance of an initiative, the more likely you are to get team buy in. Once you make your grand gesture, you have more opportunities for repetition. Repeat why it’s important to them. Share why it led you to invest your time, effort, and abilities to do your part. Especially if you did more than what you’re asking your people to do, chances are they’ll all buy in. At this point, your work is not done. Keep making these gestures. Never assume you have their buy in forever. There’s a reason that as soon as the players on the dynastic teams mentioned in the Captain Class retired, the dynasties ended. They only lasted as long as the leader was there to uphold and repeat the standard. On your team, you likely have people changing roles, leaving, and getting hired all the time. This means many people haven’t seen your last grand gesture or heard the message you’re getting tired of repeating. Keep the standard of leadership high on your team by continuing to make good efforts in these areas. It will pay great dividends for you through continued team buy in and success. Learn more about how to use the power of repetition in our deep dive on the subject here. 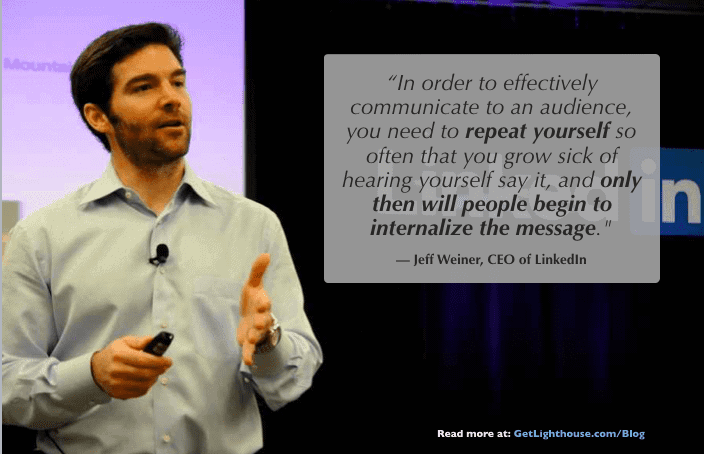 Read Jeff Weiner’s thoughts on the importance of repeating yourself as a leader here. 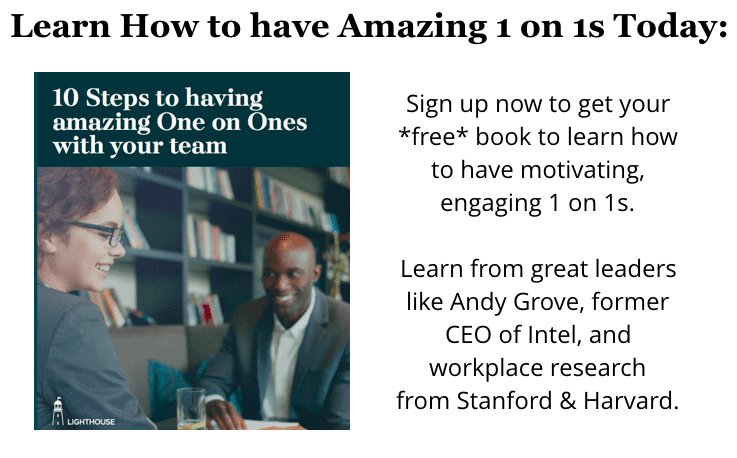 Use your 1 on 1s to reinforce ideas you’re trying to get buy in for by following this 1 on 1 template. A friend of mine, the VP of Engineering at a startup, experienced the challenge and power of getting buy in first hand. Their team had quickly grown to a dozen engineers. When they were a team of 3-4 it was fine to have everyone keep track of their work however they like, but it didn’t work anymore. Without firm planning, estimates were often wrong. Projects shipped late, and coordination was poor. It was very hard for anyone to know what everyone was doing. The solution was to get everyone to use Jira, their preferred project management system. However, there was a lot of resistance; each engineer knew what they were doing, wasn’t that enough? At first the VP tried talking about the problem. They repeated themselves over and over telling people they needed to put it in Jira. That worked for a few people, but most resisted. Then, he tried pushing the problem to the Product Manager. After all, they were one of the people who most needed to understand what everyone was doing. This also failed, as Product Managers have no direct authority over the team. As a new team member building credibility, the PM was concerned about using it on administrative demands, too. Despite a month of asking others to do it, there was little progress on team buy in to using Jira. Clearing out all the old tickets team members had added in the past that weren’t going to be done. Creating new structure around where various projects would live. Making instructions the customer support team could use to file issues in a structured and consistent way. Told everyone on the team their plans to improve Jira for everyone. Gave updates in standups how their work was progressing. Discussed in 1 on 1s people’s thoughts and concerns about Jira. Declined meetings that were scheduled during the time they booked to work on the project so everyone knew the time commitment. Posted to Slack for the whole company to see all their work, including the instructions. Thanks to this major effort, the whole team bought into Jira afterwards. With the VP of Engineering willing to spend the better part of their busy week making it easy for everyone else, it was a small ask for everyone to do their part going forward. Overnight, the language of the team changed. Questions went from, “Do I have to put this in Jira?” to “Where would be best to put this in Jira?” All because of the VP’s actions. Are you ready to roll up your sleeves to get team buy in? It would be awesome if saying something once would be enough to get team buy in. Unfortunately, that’s not how the world works. Next time you’re struggling to get your team to buy in to a new project, task, initiative, or idea, ask yourself how you can make a grand gesture. It can make all the difference for you and your team succeeding. Have you made such an effort and seen your team buy in?